Lexus' Pop-Up Concert Series final installment came to a close Monday night featuring Tegan and Sara at the Orange County's Fair & Event Center. A free show powered by Pandora, the Pop-Up concert was part of a series of four shows put on by Lexus to connect loyal fans to today's top musical acts which included Magic!, Nico & Vinz and Kongas. For the final installment, free tickets were snatched up in minutes to see the twin sisters from Canada. Fans lined up early to get a prime position inside The Hangar to watch the duo perform their last show in California this year before heading back into the studio to begin recording their new album. Tegan and Sara performs during the final installment of the Lexus Pop Up Concert Series Powered by Pandora. 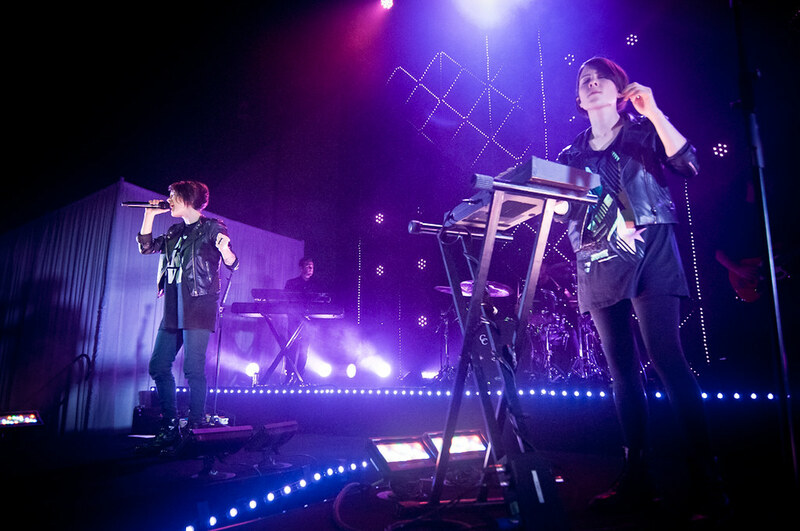 During their 15-year career, Tegan and Sara's loyal fans has helped them sell over a million records worldwide. But it was their 7th studio album Heartthrob, released in 2013, that propelled them into the mainstream infusing their indie-rock sounds with pop in hits like "Closer," "I Was a Fool" and "How Come You Don't Want Me." "Our last two years has been so incredible for us. We obviously tried something really new and different and yet a lot of our old fans have stuck with us and we have so many new people who are listening to Tegan and Sara," said Tegan Quinn. "What's really cool is that Sara and I; our number one goal throughout the last 15 years is just to make music we really enjoy making." 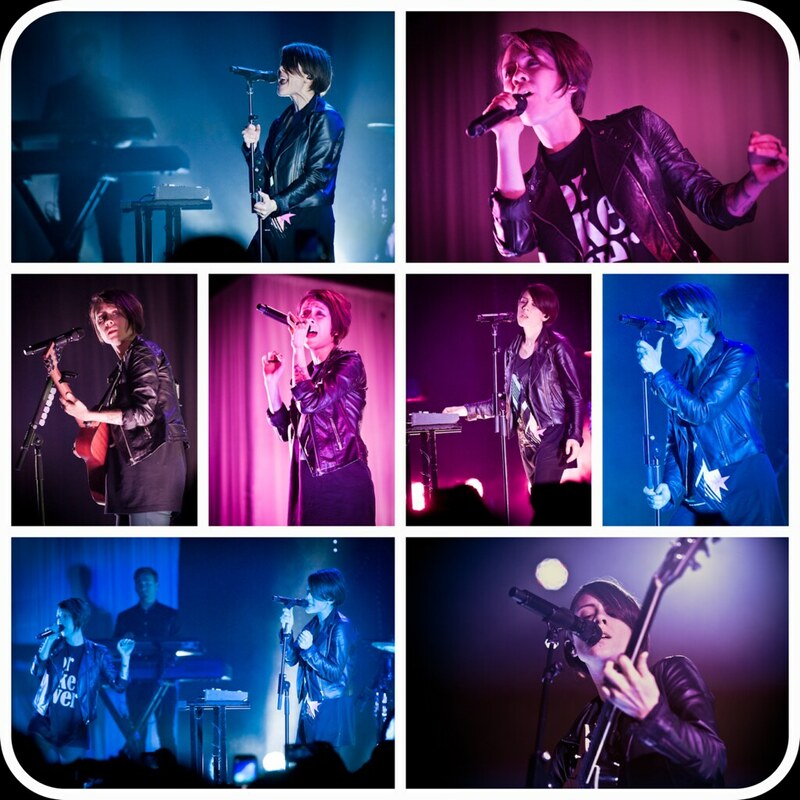 Tegan and Sara mostly performed songs off their 2013 breakthrough album Heartthrob, opening with "Drove Me Wild," a song Tegan has to abruptly stop because, as she said, she was distracted by all the dancing and the brand new cherry-red 2015 RC 350 F Sport Lexus off to the side. 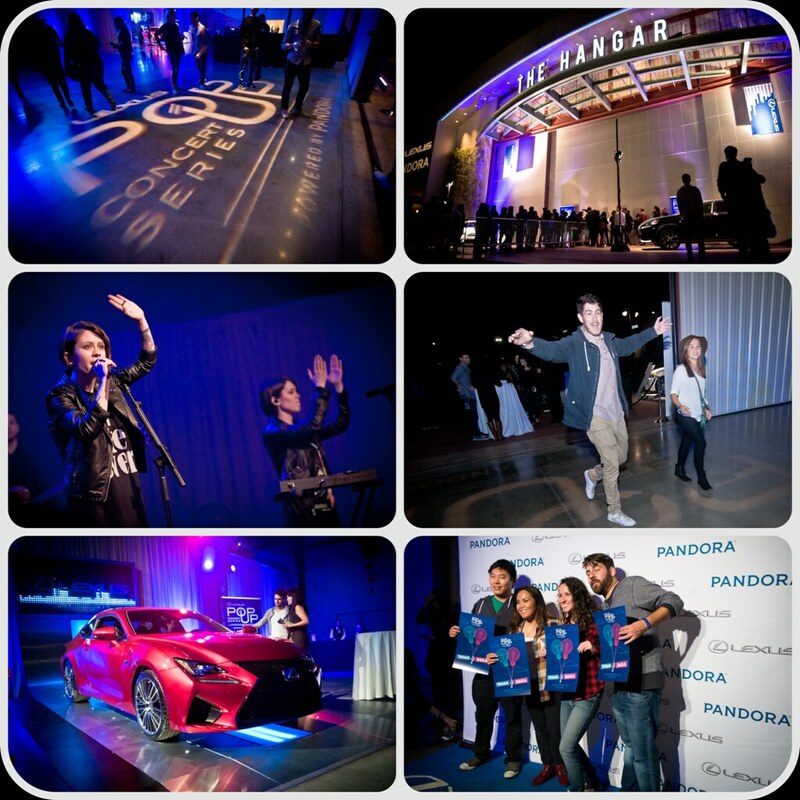 Lexus Pop Up Concert Series Powered by Pandora feat. Tegan and Sara. During their 50-minute set, although hey did pepper the night with some oldies, like "The Con," "Alligator" (2009's Sainthood) and "Living Room" (If It Was You, 2002), the night showcased more of the new and the future of their music and music in general. The event, powered by Pandora, is playing a big part connecting fans to their favorite artists like Tegan and Sara. Over one million people has made a station with their name and their songs has been spun over 3.5 million times on Pandora. "We think the future of music, whether you like it or not, is going to be online...and it's going to be playlists and sharing and streaming and digital," Tegan said. "I just really want to say that Sarah and I really embrace the future of music. we think the future is terrifying but also kind of cool." And with that, Tegan and Sara closed out their set with their hit "Closer" off their newest album Heartthrob. And with that, before launching into their closing song "Closer," Tegan and Sara teased a new record coming out in 2016. And with a career spanning over a decade, Tegan and Sara are sure to continue their global dominance.